We woke up at 4:30 AM, sleeping through the alarm the supposedly went off at 4:00 AM, and hit the road at 5:00 AM to Traverse City, Michigan to drop off Sophie at camp. Sophie was going to Camp Arbutus Hayo-Went-Ha for two weeks for the first time. It is a great all girls camp turning 100 years old this year. Grace went twice when she was younger and we are certain Sophie will have a great time. We zoomed pretty quickly through Ohio and Michigan getting to camp in about six hours. 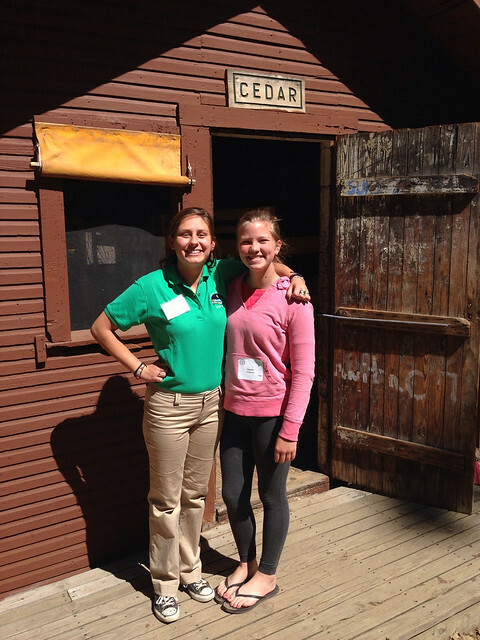 We helped Sophie settle in to her cabin, met her counselors and Sophie was ready for us to get out of there. No homesickness for this one. 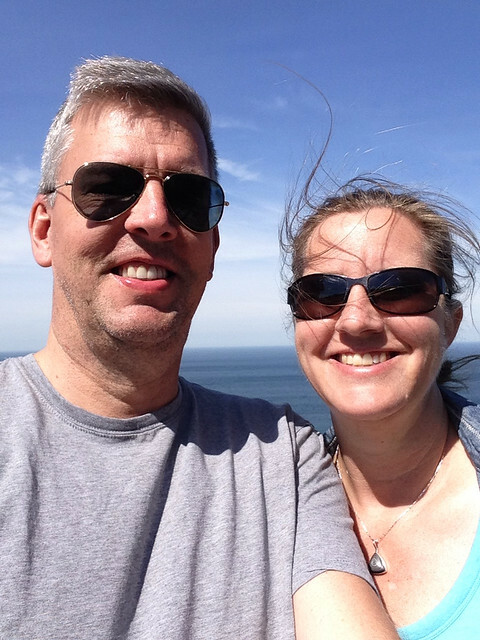 Courtney and I drove to Traverse City – a 30 minute drive and had lunch at Mackinaw Brewing Company. We had a happy-to-be-on-vacation-even-if-it-is-just-f0r-24 hours-beer, a cup of soup and split a chicken salad sandwich. We walked around town a bit, happy that it seems to continue to be a vibrant place. On the way towards the lake, of course we had to stop at Grand Traverse Pie Company. One can’t just drive past it. I had a piece of cherry pie and Courtney had a piece of strawberry rhubarb. One of our favorite places. 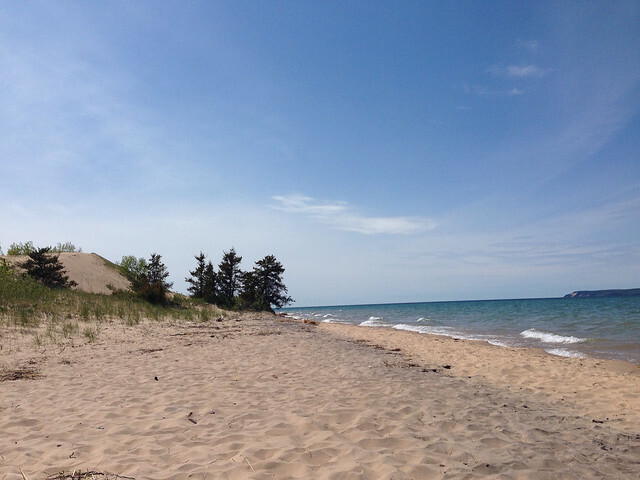 We hit the road to Sleeping Bear Dunes, a 40 minute drive. On the way we passed a farm where there were a bunch of cars lined up on both sides of the road. 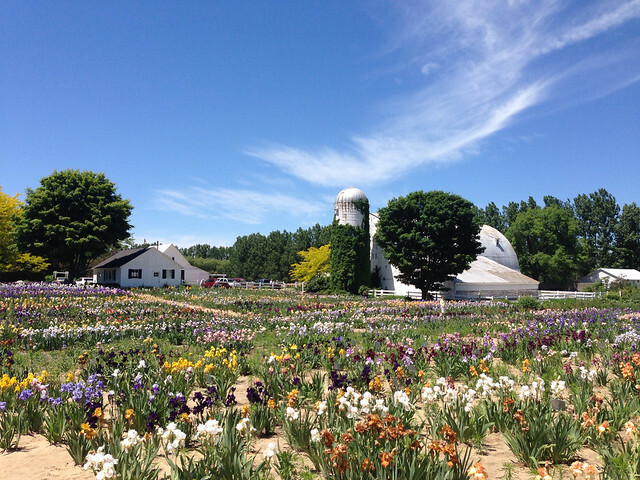 When we drove past we saw that it was a huge iris farm with everything in full bloom. 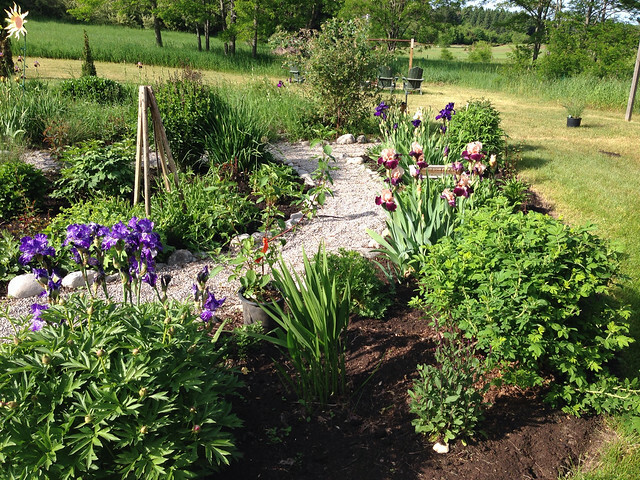 We stopped and walked around the beautiful farm with hundreds of different kinds of iris. You could pick them for $1/stem or pick out the plants you like and they will ship you the rhizomes in late summer. The farm itself was beautiful. 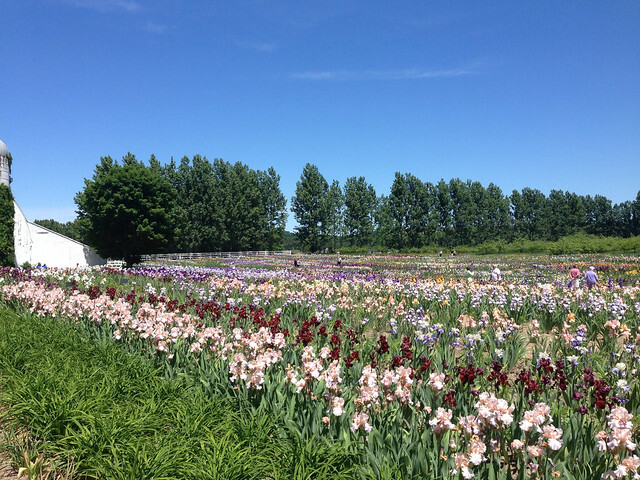 Schreiner’s Iris Gardens. 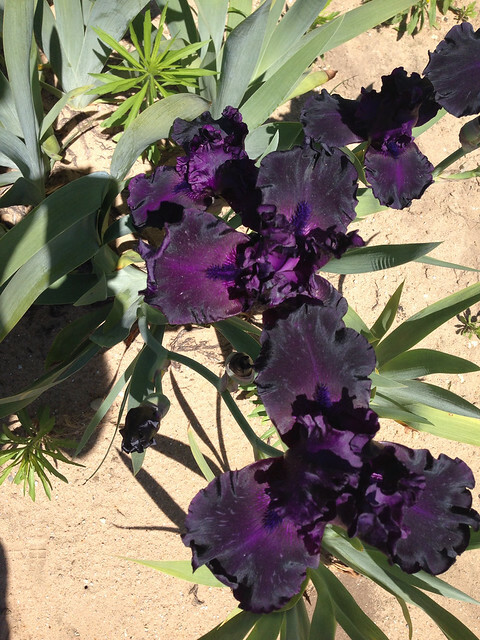 Growing iris since 1925. 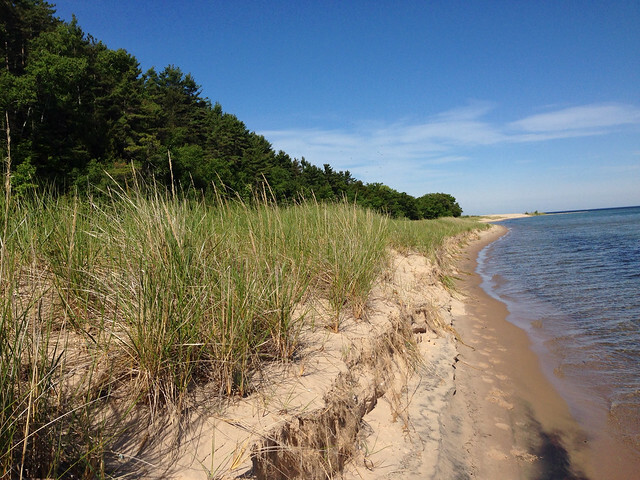 We made our way to Sleeping Bear Dunes and went to our favorite beach that is off a beaten path around Glen Haven. You have to drive down a dirt road, trudge down a path and a climb over a huge sand dune to get to the beach. It was already around 4:00 once we got there so we were pretty tired and took a nice hour long siesta on the deserted beach. We then drove to Glen Arbor and walked around a bit and then to Sleeping Bear Bed and Breakfast where we were spending the night, just a few miles down the road. The B & B was very nice, an old farmhouse run by a nice couple. Our room was nice and we hung out in their garden for awhile and then headed to dinner. We had dinner at Trattoria Funistrada, an amazingly good local Italian place in the middle of nowhere. We were there about four years ago and really enjoyed it and had a great meal this time as well. We split an appetizer of locally grown asparagus with a morel ragout. I splurged and had veal saltimbaca and Courtney had chicken picata. Everything was excellent. We headed back to B&B and sat outside some more until it got dark and then quickly fell asleep after a long day. We had breakfast at 8:30, asparagus and mushroom frittata, cinnamon scones and fresh fruit – very nice – and then hit the road. We took the scenic route going South all the way on M22. We stopped at Platte River beach and went for a nice hike for about a half hour. 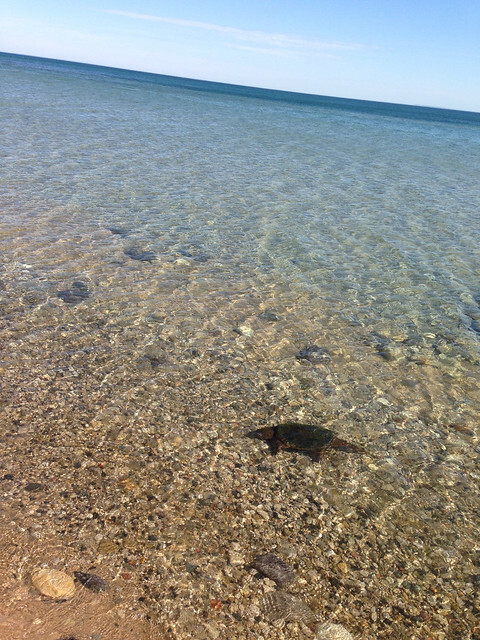 Lake Michigan is amazingly beautiful. Crystal clear water, never too wavy and beautiful clean beaches. 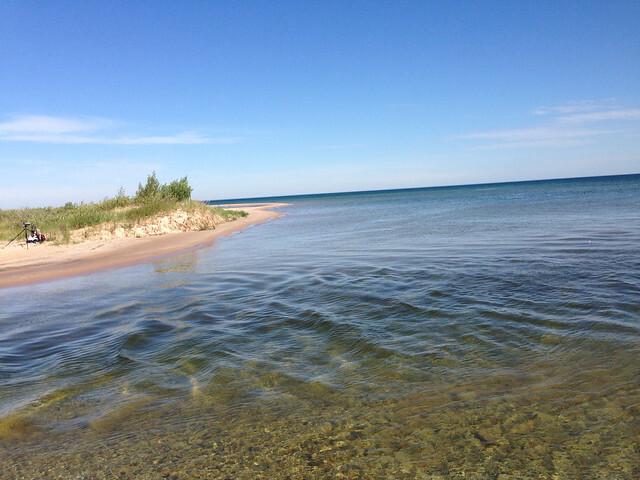 Why oh why can’t our Lake Erie shoreline be like this? Maybe some day. We stopped at an overlook right next to road – Arcadia Dunes – and hiked up a bunch of stairs for another great view. Once M22 ended we hit the freeway going west and make it home about 6:00. A nice quick trip to one of our favorite places.